Hiya guys!! 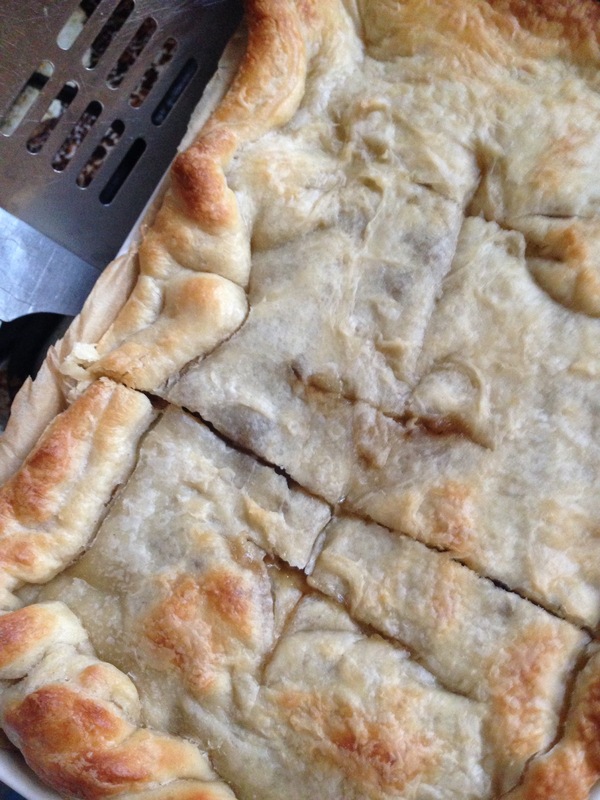 Today’s blogmas is a recipe one again! I’m sorry I know I’m making a lot but these are always my favourite this time of year and I haven’t yet made any recipe posts about actual meal foods so why not?! This is a super simple recipe because you know me, I am lazy and I never want to have a lot of steps in recipes because otherwise, I won’t do them. 1. First of all, I preheated the oven to gas mark 6 (200 degrees Celsius) and got my dish that I usually use for lasagna out, ready to line with pastry. 2. 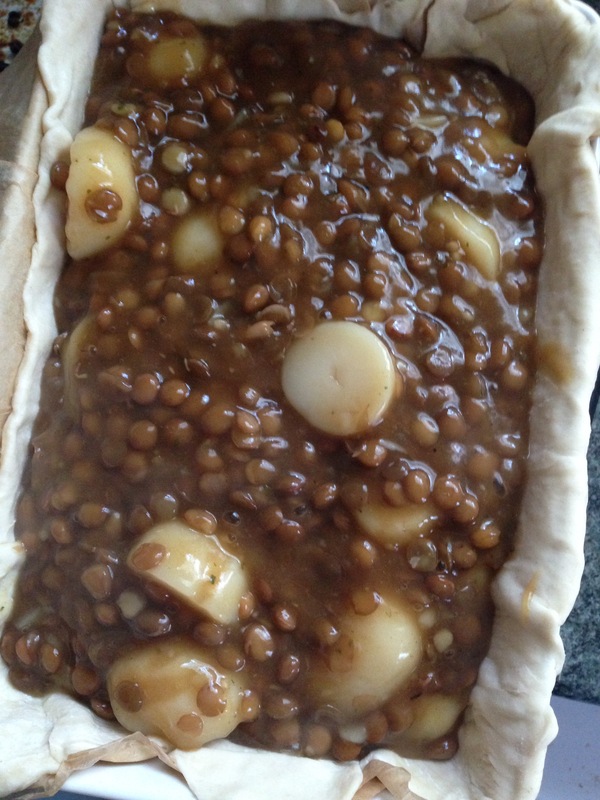 Then, I popped a tin of baby potatoes and a tin of green lentil into a saucepan and heated them through so it was easier to cook the pie through later. 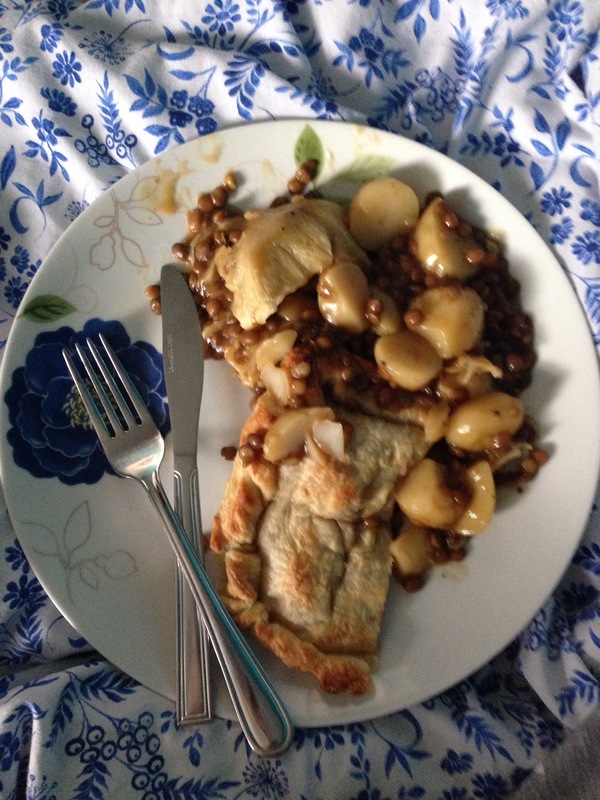 Whilst the food was cooking in the saucepan, I boiled the kettle and made the gravy – with the gravy, make sure you make it thicker than what you normally would with gravy because you don’t want it to soak through the pastry whilst cooking because that would make the pie more soggy. 3. 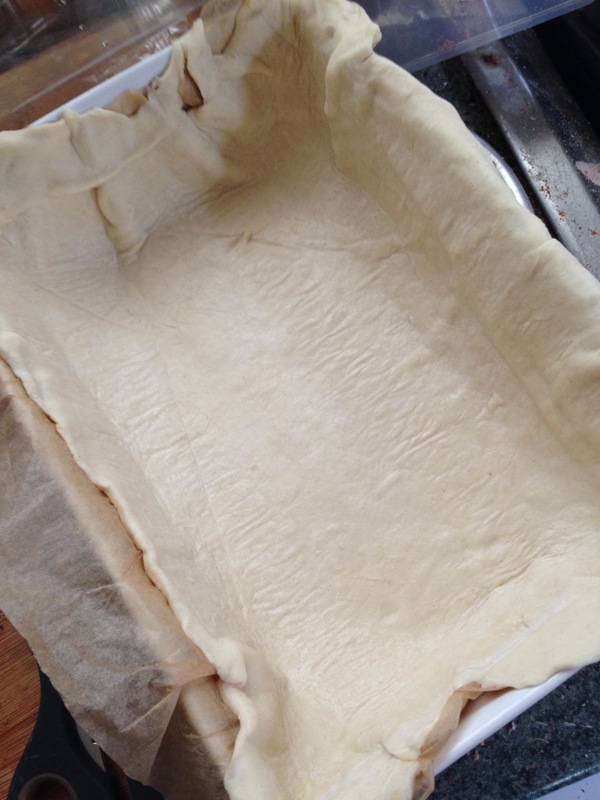 I lined the pastry sheet to make the base for the pie but I used around three quarters because you want to make sure you have pastry left over for the top of the pie! Then I drained the potatoes and the lentils so I could add the gravy to the saucepan. 4. Once I mixed it all up, I added it slowly to the pie base and made sure I didn’t put too much in too quickly so the pastry wouldn’t get too soggy because of the heat of the cooked innards. After I put it all in, I just used the rest of the pastry and placed it over the top of the pie. I added slits into the pie cover to make sure the inside of the pie doesn’t overheat. 5. I popped the dish in the oven for 17 minutes and obviously, depending on your oven, whatever time you think is best. After the 17 minutes, I took the pie out and ate around a third of it. No shame. It was so so tasty. It was a bit difficult to get out the dish but I personally think that was because of how I made the crust! Other than that, it was a perfectly good pie! Let me know below if you are ever planning on making it because I’d like to know if my recipe planning is going to use hahaha! Here’s a link to my 2016 Blogmas blog post for this exact day! What a throwback! It’s so simple! I’ve had it for three meals but I can eat a lot so it all depends on how hungry you are obvs haha! Aaahhh sounds delicious – This post sure made me hungry haha!